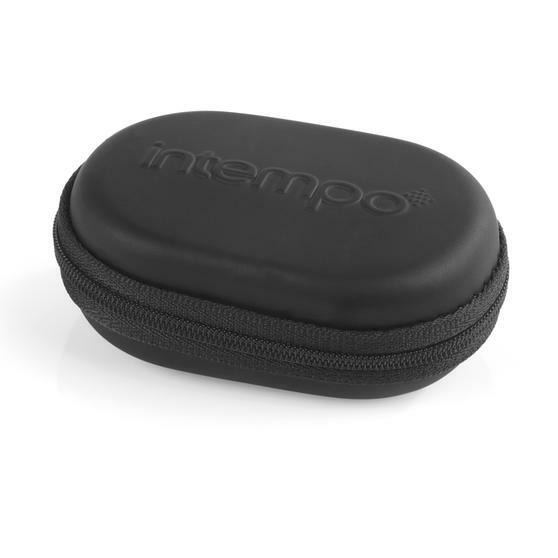 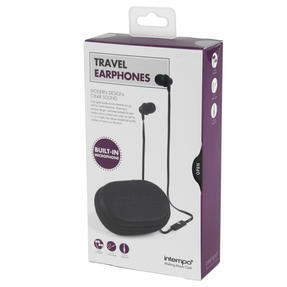 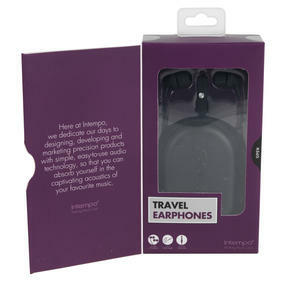 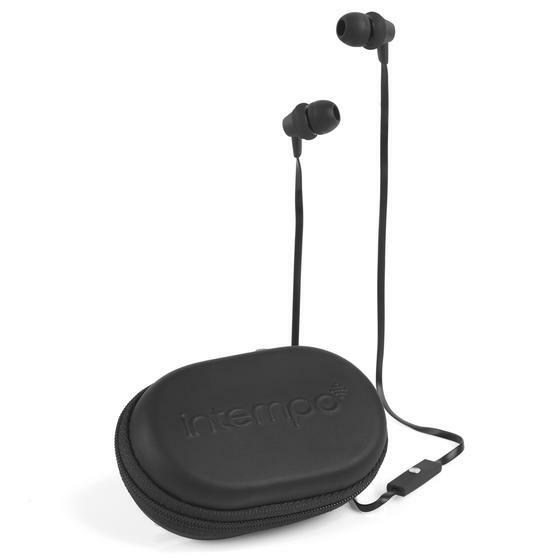 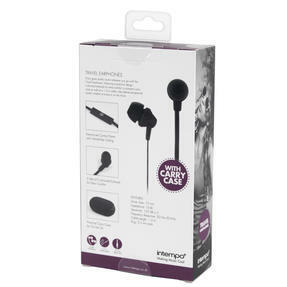 Ideal for listening on the move, these Intempo travel earphones have a practical design and come with a carry case for safekeeping. 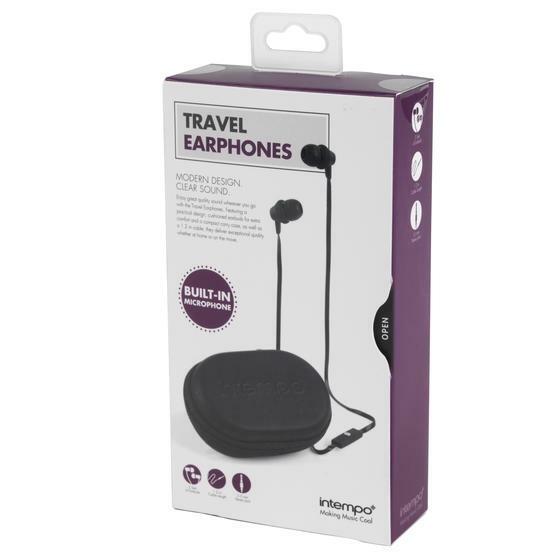 Featuring an easy to use control panel with a built-in microphone, you can enjoy hands-free phone calls no matter where you are. 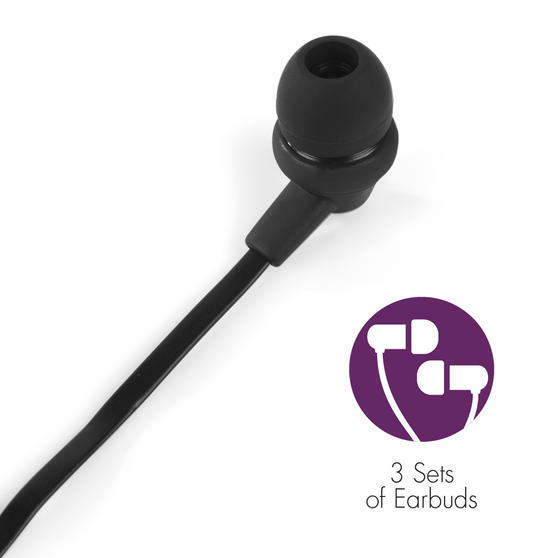 They can plug into your Smartphone, tablet or MP3 player using the 3.5 mm stereo jack to deliver great quality sounding music. 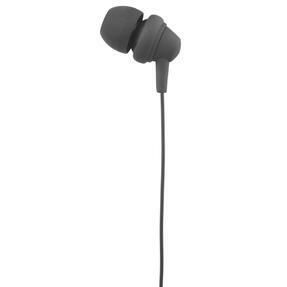 The earphones come with 3 sets of cushioned earbuds for so you can listen for long periods of time in complete comfort. 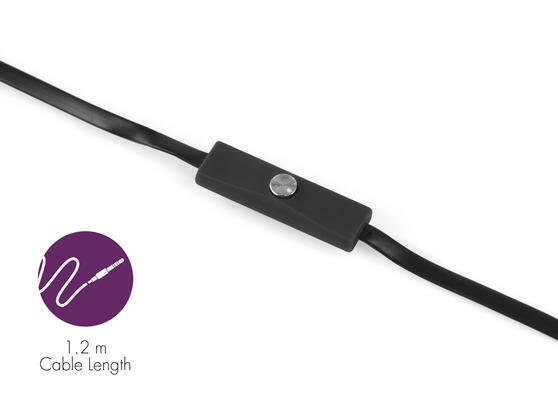 With a smart black styling and a 1.2 metre cable, they will look smart in any setting and are perfect for use at home or on the move.